Are we seriously this out-of-touch with our retirement savings? MLC’s Wealth Sentiment Survey of over 2,000 Australians found that 40% don’t even know how much they have saved in super. It’s a disappointing statistic which suggests many of us aren’t paying enough attention to our future financial security. Some are too focused on “living for today”, it seems. 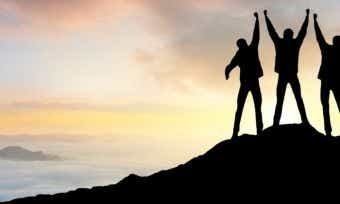 The survey also discovered that nearly 50% of Australians do not use a financial planner or even have a financial plan. MLC General Manager of Corporate Super Lara Bourguignon says this finding is worrying. “Our recent Australia Today whitepaper showed that Australians want it all when it comes to lifestyle,” Ms Bourguignon said. “But, having it all doesn’t just happen overnight. Getting yourself a financial plan and the right help, guidance and advice is critical. 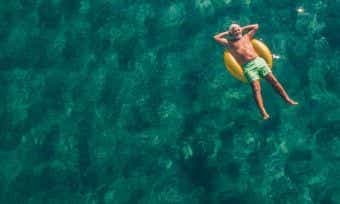 Not paying enough attention to your superannuation savings now is something you’re likely to regret when you feel like you want to retire, but can’t. According to HSBC’s global Future of Retirement report, Australian workers are among the most likely in the world to feel this way. Their research found that nearly three quarters (74%) of Australians aged 45 and over want to retire in the next five years, but 43 per cent say they can’t. Out of those wishing to retire in the next five years, 71 per cent said they have not saved enough money. So why are we struggling to save for retirement? According to those surveyed by MLC, the biggest barrier to saving for retirement is not having enough money to invest after taking out living expenses. This has meant that too many Australians are facing a retirement savings shortfall – something Ms Bourguignon is aware of. “If you find yourself living pay check to pay check, finding the time to make a financial plan can help you find savings opportunities,” she said. Around 40% of Australian women do not expect to have enough money to retire on, compared to around 31% of men. 1 in 4 Australian women also believe that they will have ”far from enough” to retire on. We expect to retire with around $500,000 on average, but nearly 1 in 5 expect to have less than $100,000 and 1 in 5 don’t know. When it comes to having more than enough to retire on, very few of us actually think we will achieve this goal – only 7% of men, 4% of women. Australians only give moderate consideration to a possible financial setbacks (like a big health issue or losing their jobs) when considering their retirement position. Are young people careless about their super? 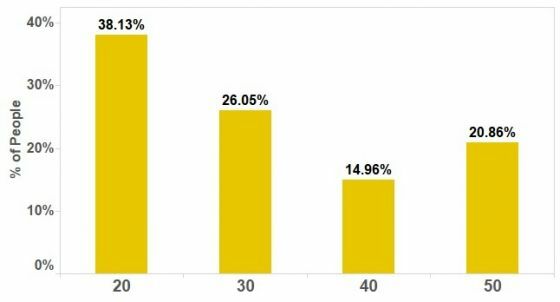 Out of the 40% who do not know how much super they have, you’d expect that young people in their 20s and early 30s (Gen Y) make up a big proportion of this percentage – given how far away they are from retirement. But as you can see from the visualisation below, CANSTAR user data finds that young people are actually the ones most actively using our superannuation comparison tables to compare super funds! This is a positive sign that despite Gen Y’s reputation as a “live for today” generation, many young Australians are taking responsible steps to secure their financial future. If you’re ready to take charge of your future financial prosperity, check out our superannuation comparison tables to find a great-value Australian super fund for you.